Already long normal to enjoy the thousands of radio stations that broadcast his program and through the Internet. While suffering from some shortcomings, this tool is to listen to radio stations via the Internet simply breathtaking ease, as well as some specific opportunities. 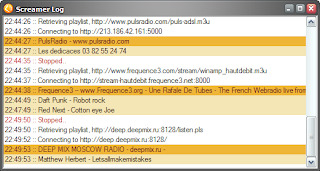 Besides acting as an interface that works on the radio, is full of predefined radio stations (currently it has slightly more than four thousand). 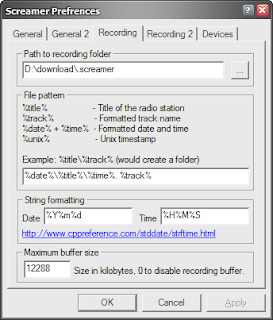 Supports play Shoutcasta (MP3), Icecasta (OGG) Windows Media and AAC streams, and other than listening, and allows the recording. 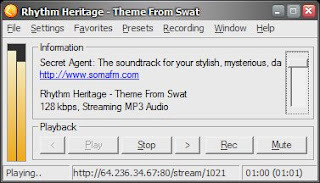 Specifically, it uses the cache among so is able to record the entire song, which emits no matter what the record did not start from the beginning. In addition, allowing direct recording of songs in MP3 and Ogg format and encoding sound stream in the same format or WMA and AAC format to Mp3 with a little help Lame. All radio stations are categorized, but rather clumsily cleared the way in which they choose. Specifically, how would you begin to listen to a radio station, you will choose the classical pull-down menus, and even though it's not too bad, everything could be solved much more practical.